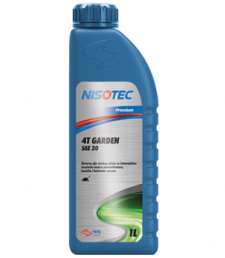 NISOTEC GARDEN 4T SAE 30 is seasonal, mono-grade engine oil for small four-stroke gasoline and diesel engines of high performance. Represents an ideal choice for reliable lubrication of four-stroke engines of motor-cultivators, mowers, rotary hoes, generators and other garden equipment. Meeting the requirements of the manufacturers such as Briggs & Stratton and Tecumseh. Ensures an excellent engine protection even in the most intensive mode of use. Fully conforming to oil drain interval requirements recommended by the equipment manufacturer. 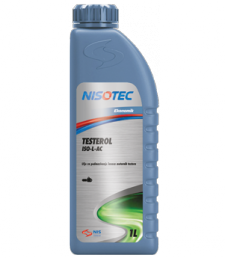 NISOTEC TESTEROL is chain-saw lubricating oil. It is a reliable lubricant intended for lubricating all types of chain saws used for woodworking in severe conditions, at high temperatures, in the presence of water, dust and mud. It should not be used for making the fuel mixture for chainsaws instead of two stroke engines oil. Mineral-based oil intended for the lubrication of chains in all types of portable chain saw, primarily in summer months. Recommended for the lubrication of chains in chains saws manufactured by Stihil, Husquarna, Bosch, Black & Decker. Not to be used as an element of a mixture created as a combination with drive mechanism oil used in two stroke engines.